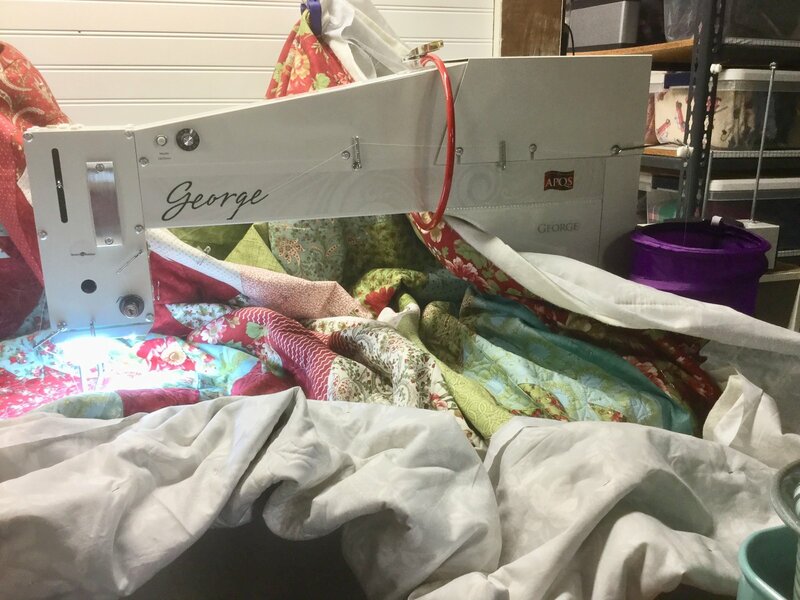 When quilting a large quilt on George, I found that sometimes the quilt would push up against the thread cone, adding drag to the thread. Not good! So I searched the house for something to use as a shield or bumper, so the quilt couldn’t touch the cone. 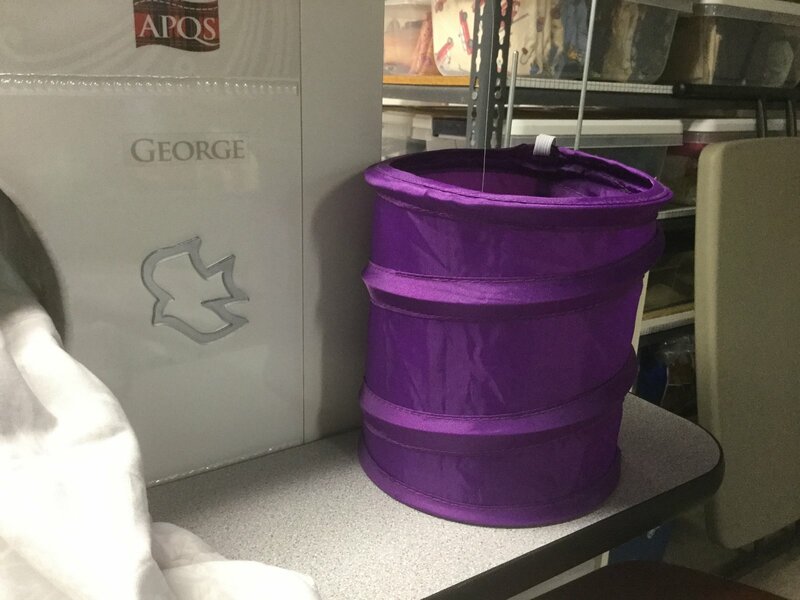 I ended up using this purple collapsible nylon bucket that I use for scraps at quilt retreats. It’s called The Gypsy Bitty Buddy from The Quilting Gypsy. 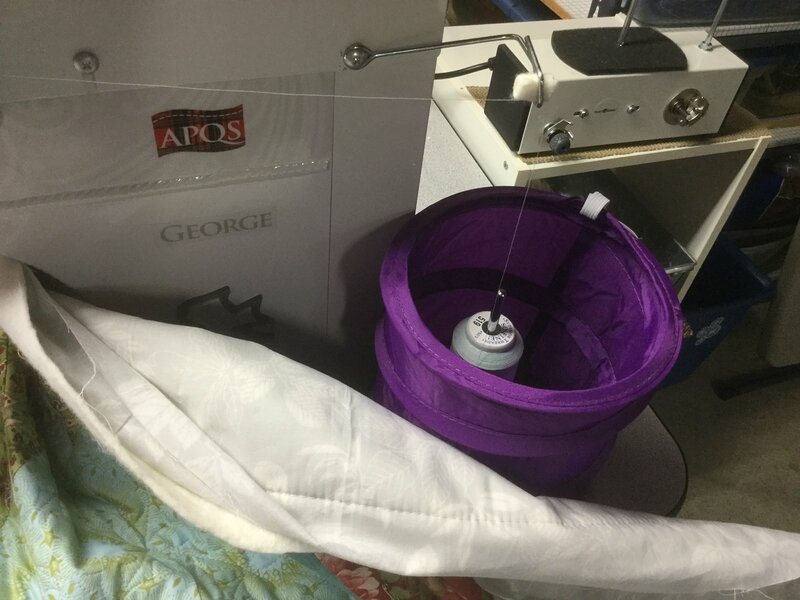 The nylon is thin enough that the magnet on George’s thread stand still works. The magnet keeps the bucket locked in place, even when the quilt pushes up against it, and the thread comes off the spool uninterrupted. Just thought I’d share in case anyone else has the same problem. Macgyver your are with innovation where needed!!! Thought it sort of makes you wonder why APQS stopped mounting the thread cone holder on the side of the machine, since you sort of have to fluff and stuff the quilt over to that side of the machine on larger sized quilts? Quilter's are great inventors!!!! Great idea.